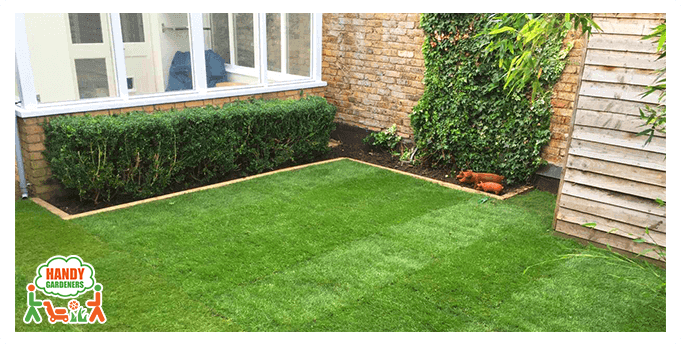 Our customer wanted a General Maintenance of the garden but when our landscaping expert arrived at the address, it was agreed that it would be a much more prudent choice to organise a full lawn returfing. The lawn was already gone too bad to be revitalized and a new turf was needed for the lawn to spring up again. The customer had paid a deposit in advance, so we could start working immediately. 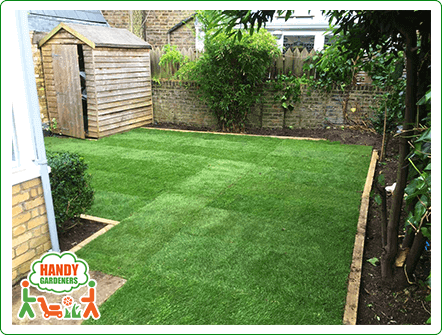 Our gardening experts team managed the job in a single day, meeting all the customer’s requirements. They first did a thorough examination of the garden, calculating a full 60 sq.m. in need of returfing. 1. The removal - First, the team had to clear out the area to make space for the new turf. 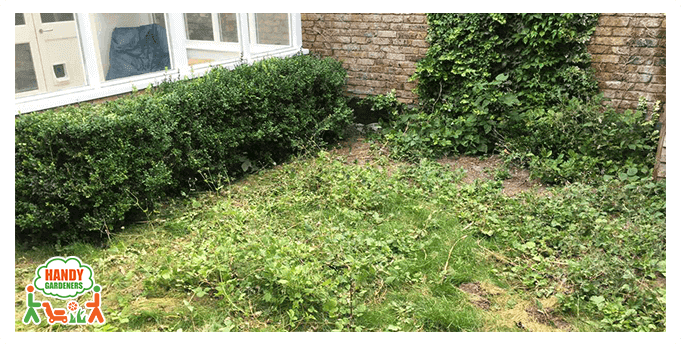 They took out the bushes, hedges, and shrubs out of the garden and then took care of the old grass and inappropriate soil. 2. The leveling - In order to bring the new turf, the area needed to be levelled and prepared for the new landscape. The area was done as a preparation to lay down the new natural grass. As a start our gardening team did a preparation with wire grand flags to mark the right corners. Using a half moon cutter a cross shape was made right through the centres of any bumps. This was necessary to make the cuts as even as possible. Where the soil was dry, it was watered and levelled gently. It was also raised and lowered until the perfect level. The distance was measured thoroughly to determine the slope of the grade. At the end the soil was gently firmed, then raked over lifting out the footprints. Тwo of your gardeners came to do my garden on Monday. I just wanted to let you know what a fantastic job they did and how easy and accommodating they were throughout the day. The gardeners did an amazing job of designing the garden and it not only looks beautiful but it now fits in with the flow of the flat. I am really pleased. 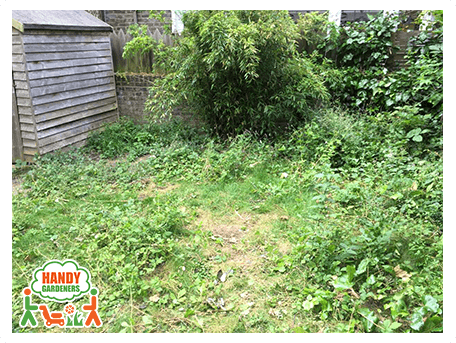 The reason I did the garden in the first place was because I am selling the flat. I have had two viewings so far and both commented on what a beautiful garden it is and one is coming back for a second viewing - the estate agent thinks it will be the garden that will ultimately sells the flat. 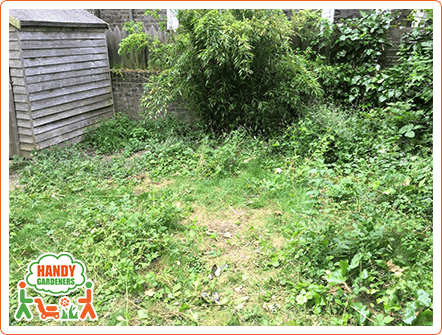 So a huge thank you to Handy Gardeners and the amazing gardening team.